Duyen, a young Vietnamese actress in the local community theater, is ferried home in the waning months of the Vietnam War after heading to the mountains to visit her husband, a soldier. She bears a letter informing her of his death. Still in shock and overwhelmed by bottled-up emotions, she faints and slips into the river. We learn later that she was rescued by Zhang, the village teacher and an aspiring poet. He afterwards unwittingly discovers the letter while drying out his poems that tumbled overboard in the excitement. The two begin spending time together and strike up an unusual relationship, with Zhang forging fake letters home for the widow to help spare her child, Tuan, and dying father-in-law from the learning the tragic news. Duyen, haunted not just by vivid memories but by literal ghosts, is slower than Zhang to realize their growing love. Having vowed to keep her secret, Zhang can't defend himself when the village begins suspecting a scandalous affair (from their point of view she is still a married woman with a husband loyally serving his country), alienating him from the town and especially his well-meaning girlfriend. Zhang, dejected, goes into self-enforced exile. Duyen's father-in-law sinks into the final stages of his illness. Tuan runs away from home to find his dad. Low-key and touching, When the Tenth Month Comes is a film about healing, a tough topic in the aftermath of a painful war, which nevertheless finds delicate romantic expression in Duyen and Zhang's unconsummated love. 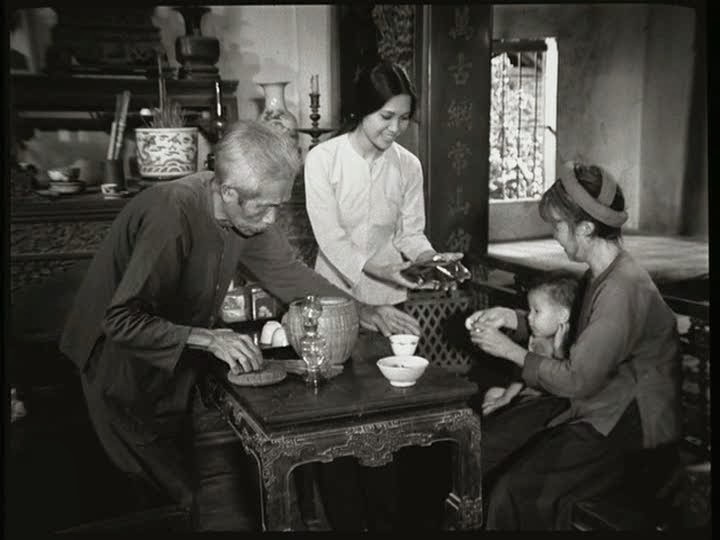 The film is also about learning to balance the sorrows of the past with the necessities of the present with Duyen's instincts pulling her in two directions: her undiminished feelings for her late husband compel her to keep his memory sacred and endure a sort of survivor guilt penance, while her youth and vitality draw her back into life and love. The film, though dealing with the heaviness of loss and recovery, guilt and innocence, honesty and secrecy, treats its characters gently and, though they are never free of problems, they are unanimously endowed with good intentions. In the hands of a less talented director this would, perhaps, have too great a flavor of official nationalist rhetoric, but instead it feels like genuine compassion and gives us a rare post-war film devoid of anger or moralizing. 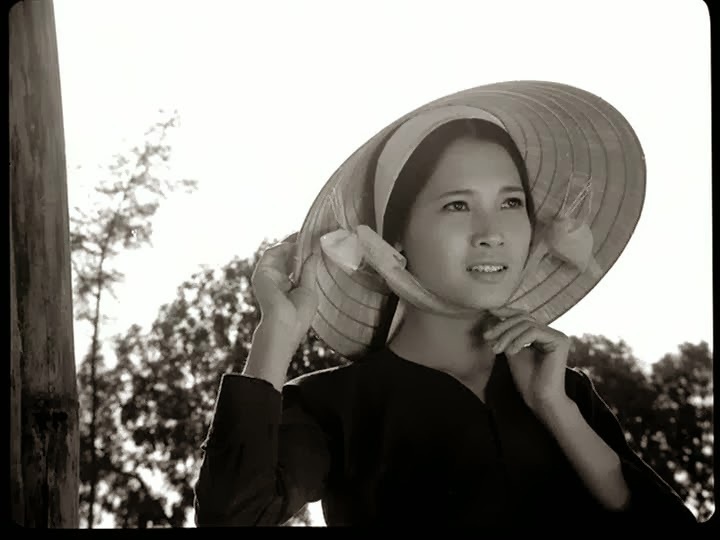 The characters manage to have a simplicity of spirit that doesn't rob them of the full range of emotional experience or the need to question and soul-search; they are given the time and dignity to work through their pain and confusion over the natural progression of day-to-day trials, and their transition is felt in scenes as explicit as Duyen's tearful breakdown during an all-too-close-to-home play or her dream-time search through an eerie ghost market, and in moments as quiet as a mother and son guiding the ascent of a handmade kite. 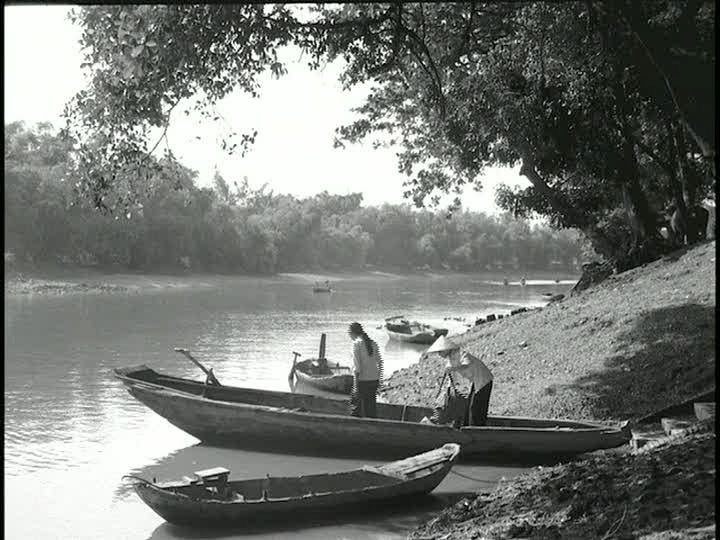 The films is shot in black and white, with expressive camerawork that, along with the music, captures the warmth of daylight and the melancholy of nighttime with a lucid poetic grace reminiscent of Ozu or Renoir.